Along with the stress of knowing you have kidney disease and need dialysis, you may also have concerns about the cost of treatment. We are here to help you navigate the uncertainties you are experiencing, regardless of your insurance coverage or lack thereof. Your primary focus at this time needs to be on deciding which dialysis treatment, and which dialysis provider, is right for you. 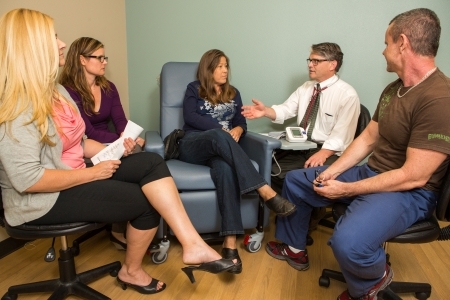 We will help you with one-on-one dialysis options education. We will also help you identify dialysis providers in your area, whether for home dialysis, or in-center hemodialysis, if that is what you choose. At HDT, we want to serve as a resource to you and others touched by kidney disease in and around San Diego County. We will contact your insurance provider to assess your coverage for home dialysis care via HDT. We accept most major health plans including Employer Group Health Plans, Covered California Plans, HMO’s PPO’s, POS’s, Medicare, Medi-cal, Medi-cal Managed Care, and Cal MediConnect. We will assess your plan benefits and inform you of any anticipated deductibles, co-insurance, or any out of pocket expenses that might be anticipated. In addition, a social worker is available to help look at your individual financial situation to educate you about and help you access other financial resources for which you may qualify. 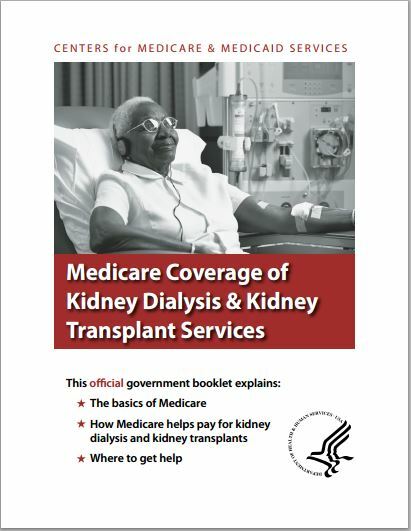 If you are eligible for Medicare and you select hemodialysis (in a center) as your method of dialysis, ther will be a 90-day waiting period for Medicare coverage to begin. However, if you select home dialysis (either peritoneal dialysis or home hemodialysis) as your method of dialysis, the waiting period does not apply. So, your Medicare coverage would begin on the first day of the month for the month in which you started dialysis. For example, if your first home dialysis training day is the 15th of October, your coverage would be effective the 1st of October. We will assess your individual circumstances to determine your options for Medicare coverage. Dialysis is one treatment for kidney failure. Kidney transplant, kidney/pancreas transplant, and kidney/liver transplant are other treatments. Some patients come to HDT already listed for transplant with a living donor awaiting eligibility. Others have not considered transplant, hoping that the day of dialysis would not come. There are also patients who are not transplant candidates, or choose not to explore transplant, recognizing that dialysis will be a part of their life the rest of their lives. Where ever you are on this spectrum, we are here to support you with your individual care goals. All patients are entitled to a transplant evaluation. In San Diego County, there are 3 transplant facilities. If you desire transplant, we will support you with starting or completing the evaluation process. If you are listed for kidney transplant, we will help you maintain your health readiness while you wait. We have “Explore Transplant” packets, in English and Spanish, available at our clinic to help educate loved ones and friends about what you are going through, as well as to share with potential living donors. Don’t let concern about the cost of transplant prevent you from exploring your candidacy. Your dialysis clinic and the transplant center that you choose will help you discover the resources that may be available to you. 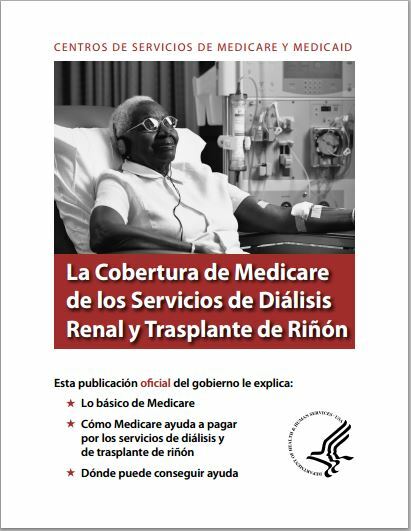 The program, which is available in English and Spanish, is designed to educate individuals at all stages of readiness for pursuing a kidney transplant. All program components were developed and field-tested through a series of HRSA research and dissemination grants. Click for the Explore Transplant slideshow for descriptions of English and Spanish program components. Explore Transplant packets are available in English and Spanish at our clinics free of charge. Contact us to learn how we can help you be successful with home dialysis, as well as address the financial concerns that often accompany managing an illness that is chronic in nature.